SPACE STATION NATHAN: Hazardous Tales #4 Cover and News! Hazardous Tales #4 Cover and News! Holy smokes! I finished it! 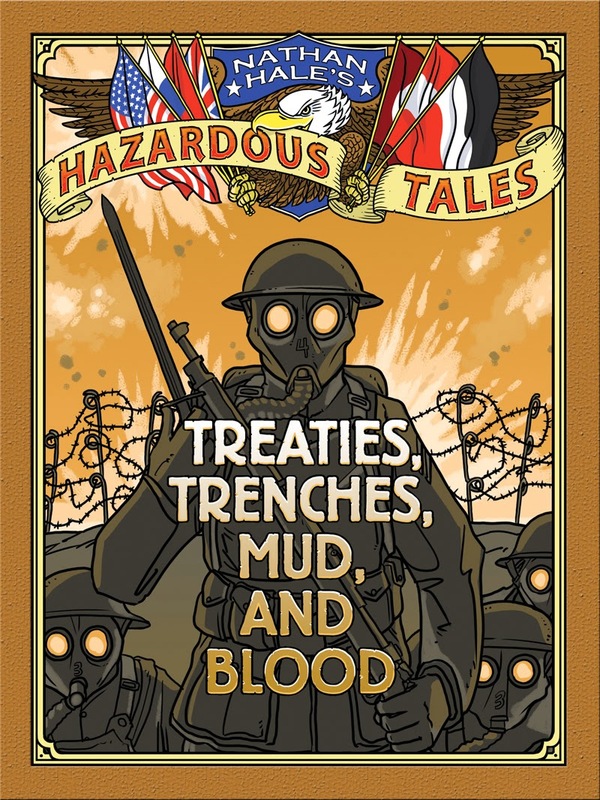 Last night I finished the fourth Hazardous Tales book. Treaties, Trenches, Mood and Blood is the title. It covers the full length of WWI. This was the hardest Hazardous Tales book to complete. It is dense, dense, dense--so much information. I think it is probably the least funny, but the most awesome book in the series so far. It'll be out in May, you'll have to tell me what you think. It can actually be pre-ordered at some online booksellers right now. Woo hoo! Super excited. I thought Donner Dinner Party was pretty dense (but very entertaining). The boys can't wait! Your boys are the awesomest! Those deadlines have been hammering you for a while. Does this mean you get to breathe (and maybe even sleep) a bit more? Hopefully you get a break for the Holidays? I am so excited for this one--World War I is fascinating!